Were Hedge Funds Right About Ditching Dollar General Corp. (DG)? Dollar General Corp. (NYSE:DG) was in 30 hedge funds’ portfolios at the end of December. DG shareholders have witnessed a decrease in activity from the world’s largest hedge funds in recent months. 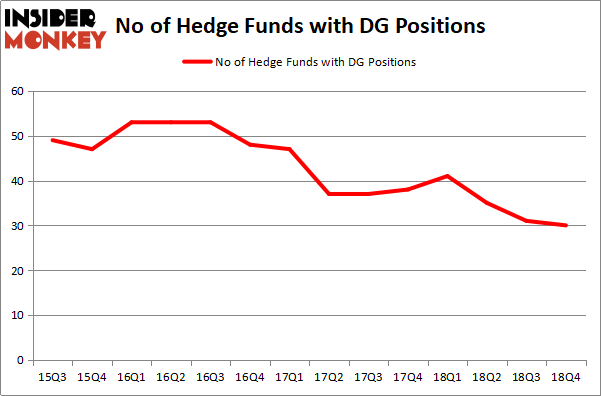 There were 31 hedge funds in our database with DG positions at the end of the previous quarter. Our calculations also showed that DG isn’t among the 30 most popular stocks among hedge funds. Let’s take a look at the recent hedge fund action regarding Dollar General Corp. (NYSE:DG). What have hedge funds been doing with Dollar General Corp. (NYSE:DG)? At the end of the fourth quarter, a total of 30 of the hedge funds tracked by Insider Monkey held long positions in this stock, a change of -3% from one quarter earlier. Below, you can check out the change in hedge fund sentiment towards DG over the last 14 quarters. With hedge funds’ positions undergoing their usual ebb and flow, there exists a few noteworthy hedge fund managers who were upping their stakes meaningfully (or already accumulated large positions). The largest stake in Dollar General Corp. (NYSE:DG) was held by Orbis Investment Management, which reported holding $633.7 million worth of stock at the end of September. It was followed by Citadel Investment Group with a $175.5 million position. Other investors bullish on the company included Arrowstreet Capital, Samlyn Capital, and AQR Capital Management. Because Dollar General Corp. (NYSE:DG) has faced a decline in interest from the entirety of the hedge funds we track, it’s easy to see that there exists a select few funds that slashed their positions entirely by the end of the third quarter. It’s worth mentioning that David Tepper’s Appaloosa Management LP cut the largest investment of all the hedgies tracked by Insider Monkey, worth about $81.6 million in stock, and Ross Margolies’s Stelliam Investment Management was right behind this move, as the fund dropped about $20.7 million worth. These moves are intriguing to say the least, as total hedge fund interest was cut by 1 funds by the end of the third quarter. Let’s check out hedge fund activity in other stocks similar to Dollar General Corp. (NYSE:DG). 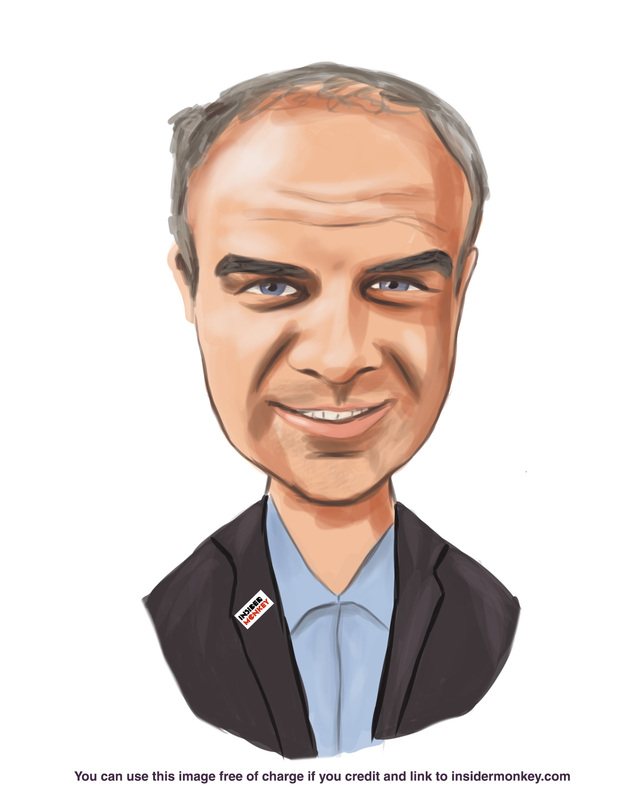 We will take a look at Equinix Inc (NASDAQ:EQIX), Fiat Chrysler Automobiles NV (NYSE:FCAU), V.F. Corporation (NYSE:VFC), and Autodesk, Inc. (NASDAQ:ADSK). This group of stocks’ market caps resemble DG’s market cap. As you can see these stocks had an average of 40.5 hedge funds with bullish positions and the average amount invested in these stocks was $1949 million. That figure was $1296 million in DG’s case. Autodesk, Inc. (NASDAQ:ADSK) is the most popular stock in this table. On the other hand V.F. Corporation (NYSE:VFC) is the least popular one with only 27 bullish hedge fund positions. Dollar General Corp. (NYSE:DG) is not the least popular stock in this group but hedge fund interest is still below average. This is a slightly negative signal and we’d rather spend our time researching stocks that hedge funds are piling on. Our calculations showed that top 15 most popular stocks among hedge funds returned 19.7% through March 15th and outperformed the S&P 500 ETF (SPY) by 6.6 percentage points. Unfortunately DG wasn’t in this group. Hedge funds that bet on DG were disappointed as the stock returned 5.7% and underperformed the market. If you are interested in investing in large cap stocks, you should check out the top 15 hedge fund stocks as 13 of these outperformed the market.